In the midst of an economic crisis in Nigeria and the rest of the world in 2008, DU Opensource began a journey. A journey for which the purpose was to deliver innovative and cost effective out-of-home (OOH) media services that helps brands connect and engage audiences. Through the years, we have adapted quickly to gain a favourable position with respect to the tide of the economy; and thus allowing us to maintain a consistent level of progress in delivering innovative and customized media services to our clients. Eight years later, Nigeria is going through another economic crisis and survival is top of the minds of most (if not all) brands. 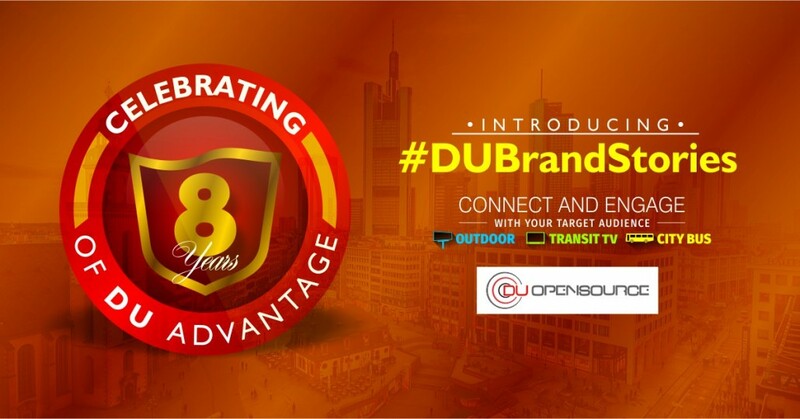 The DU Opensource team, as part of its long standing commitment to growth of brands in Nigeria, has decided to be a voice of reason and hope in such a gloomy time as this. We have decided to share a number of short inspirational stories which we have tagged #DUBrandStories. These stories share how DU Opensource grew in the midst of an economic crisis by helping brands connect and engage with audiences. More importantly, they tell how brands have transcended economic cycles by remaining committed to connecting and engaging with their audiences. In the cut-throat tech world of mobile phones, precision execution and clarity are very important in launching a successful out-of-home OOH advertising campaign . We teamed up with Huawei to take its new gadgets on a tour of important mass transit routes in the city of influencers and Nigeria’s economic capital, Lagos. In the consumer goods business, promotions are important tools for rewarding consumers and trade partners; but effective communication using the right platform is required to reach a wide audience. So Klin wanted to reward its your loyal consumers, so we recommended transit advertising along strategic routes to get the word out to the widest possible audience. Working for a market leader requires being on top of your game under pressure and delivering excellent value. During the 2015 end-of-year festive season we teamed up with Peak to take its premium brand to the masses along key mass transit routes across Lagos. Connect with us on Twitter; Facebook; Linkedin or BBM: C003C44CF to catch all the #DUBrandStories!